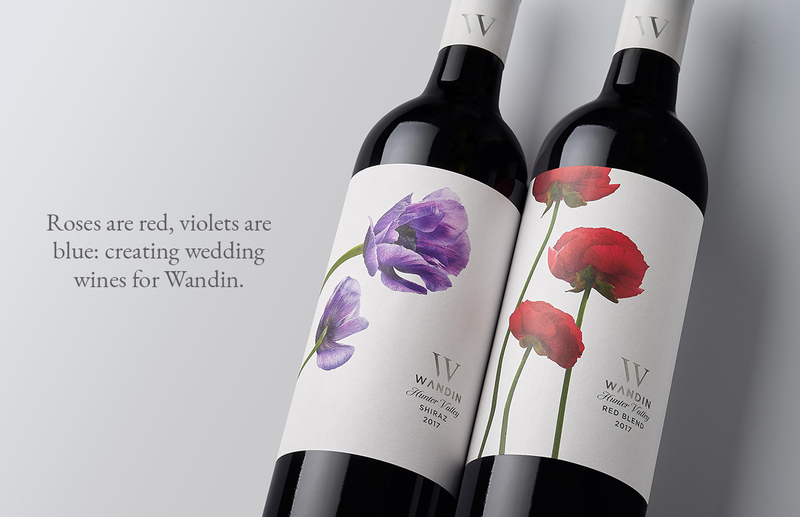 Roses are red, violets are blue: creating wedding wines for Wandin. 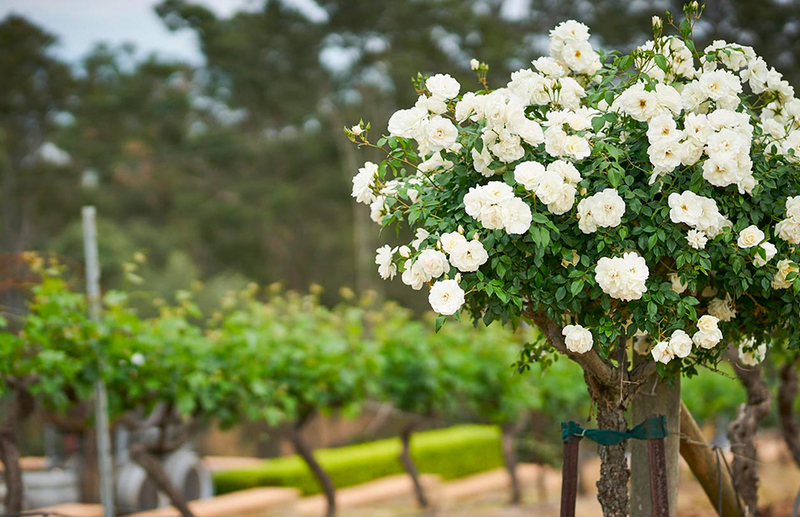 Wandin Winery, located in picturesque Lovedale in the Hunter Valley, is a popular wedding venue due to its romantic landscaping amongst the vineyards. 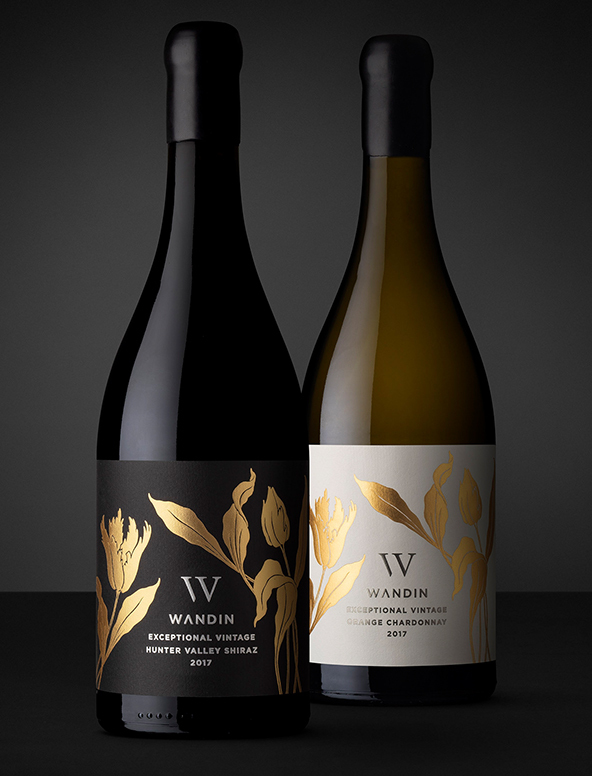 Our client briefed us to create two ranges of wines that would reflect the beautiful setting of the winery as well as the occasion of a wedding. 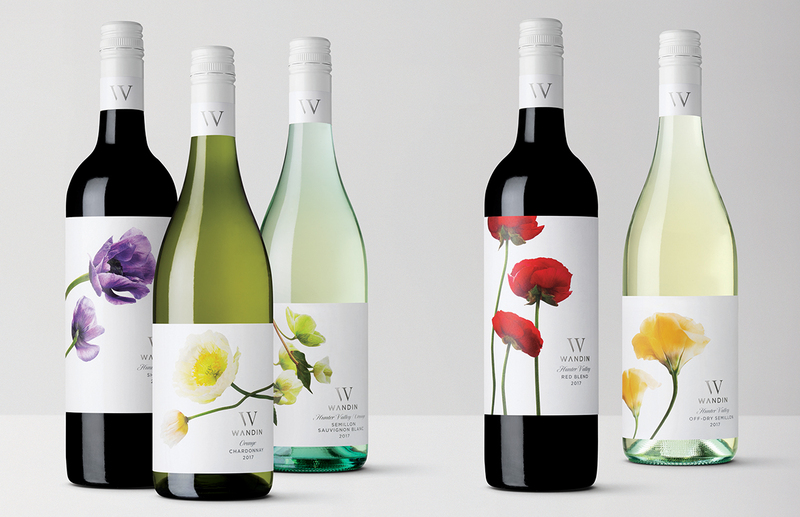 The packaging took inspiration from the vineyards and featured striking contemporary photography of flowers, creating a visual bouquet when they are arranged on a table. 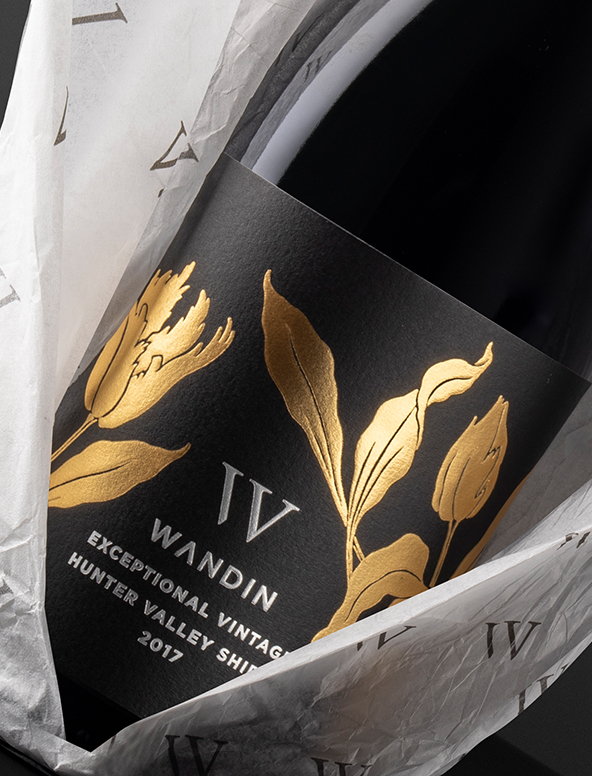 The botanical theme continued on the super premium tier, which featured elegant gold foiled flowers, bespoke tissue wrapping and hand-stamped wax capsules.